Long range shooting is all about angles. Trajectories and wind deflection have angular values. Scopes with turrets and ballistic reticles are designed to compensate for those angles. To make them effective we start with a baseline zero, then plumb and level the reticle to gravity to provide straight lines for applying trajectory corrections. In order to use these straight lines accurately a scope level, or Anti-cant Device (ACD), is referenced to our plumb reticle. A good example is the Accuracy 1st Development Group Scope Level. The Accuracy 1st scope level mounts directly to the scope’s tube. The base model is sized for a 34mm scope, with 30mm and 25.4mm aluminum reducer rings available. Held in place by two 7/64” hex head screws, the split-ring level’s body is easy to adjust and secure. 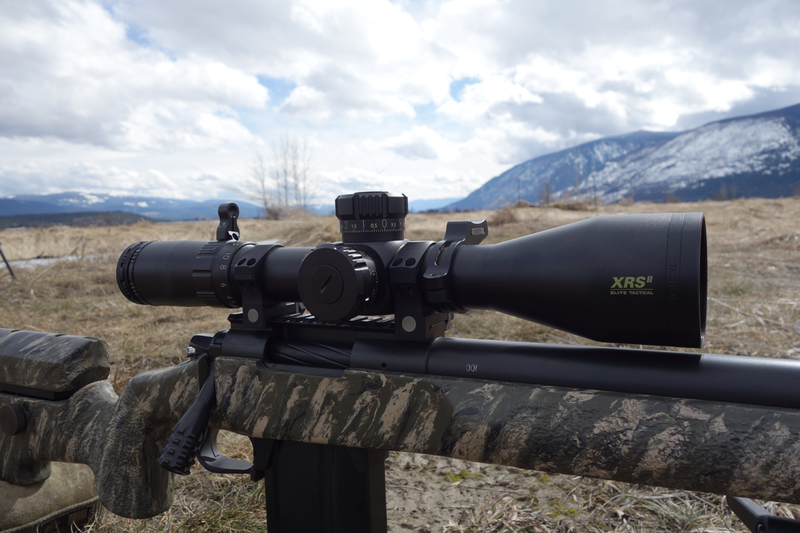 For the review, I mounted the level on a Nightforce ATACR F1 4-16×42, as well as a 5-25×56 F1 ATACR. The Accuracy 1st scope level keeps a low profile. Designed around specific military requirements, the Accuracy 1st scope level has several features not found on other ACDs. The first two things that stand out are its construction and shape. The level’s housing is 6061-T651 aluminum. It’s available in anodized black, matte tan Teflon, or Cerakote RAL 8000. The shape of the housing is specified to not obscure scope turrets and reduces snagging by remaining within the footprint of the scope body. During the review, I used the rifle to shoot in several PRS-style competitions, including shooting from barricades and ports. Likewise, the rifle was used for hunting, traveling in a drag bag and scabbard pack, or on a sling. The scope level never snagged, nor did it change positions on the scope tube. Shooting in awkward positions will test how well a scope level works. The level’s curved vial is custom made of medical-grade glass. To withstand the wide temperature swings encountered in combat environments, the level uses a ceramic ball instead of an air bubble. It uses a small air bubble to help absorb the extreme pressure encountered in those environments, and is designed to be accurate and effective from -30˚F to 160˚F. A traditional level’s air bubble can change size or split apart in extreme temperatures; a ceramic ball is unaffected by those conditions. An additional requirement was the level could not be spotted from 50 meters. It also had to be capable of night operations. To meet that demand, the front of the Accuracy 1st scope level is blacked out. It has a narrow slot machined into it that’s covered with a small rubber plug. Removing the plug allows a tritium vial to be inserted. Unfortunately, it means the level must be installed on the left side of the scope. Accuracy 1st advertises that a left-handed version is coming soon. UPDATE–A left-hand version is now available. Accuracy 1st scope level in low light hunting situation. 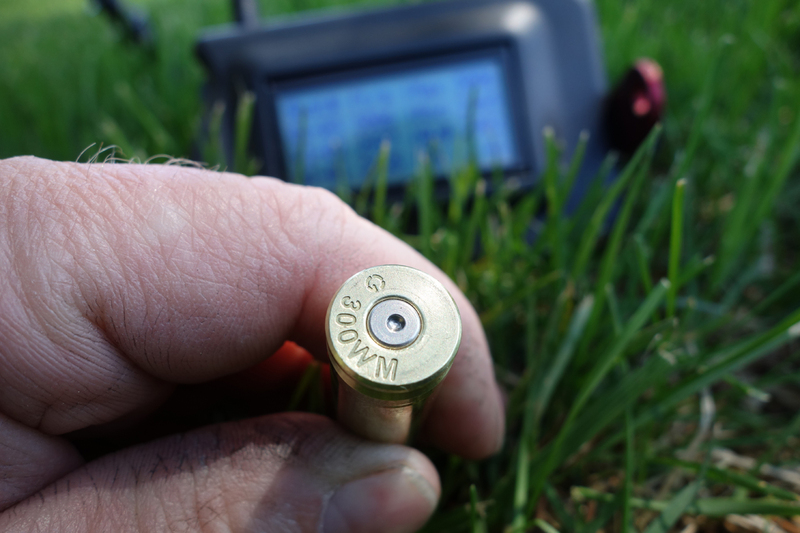 The ceramic ball used in the Accuracy 1st scope level is very easy to see in low-light hunting conditions, staying visible long after legal shooting light has ended. The most impressive quality of the Accuracy 1st scope level is its visibility. 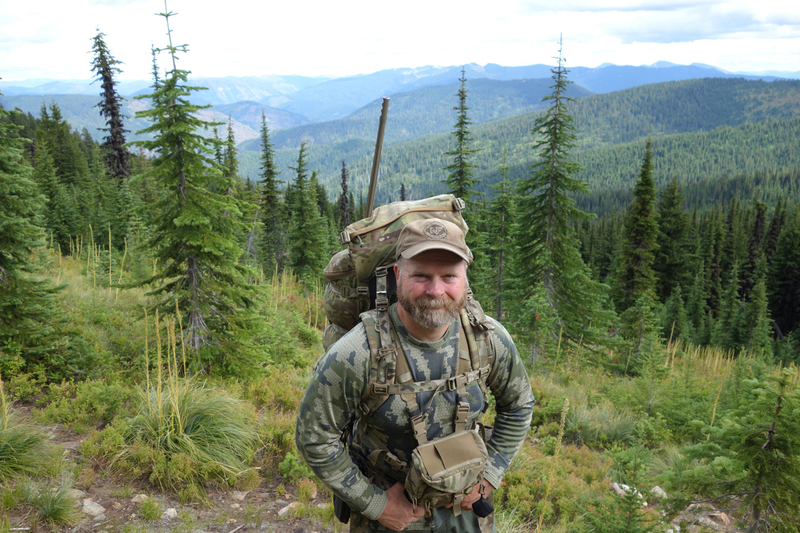 Idaho law allows us to shoot one-half hour before sunrise and one-half hour after sunset. 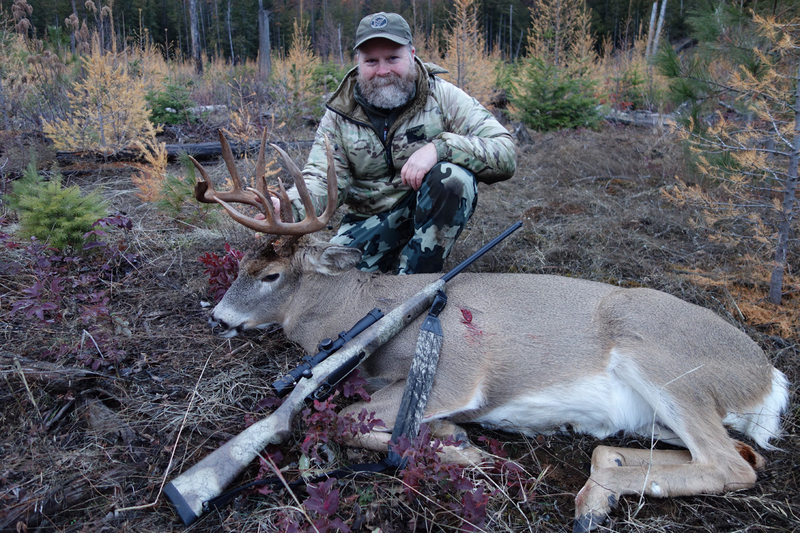 During November’s whitetail rut, that time is often needed to get a shot on a rutting buck. Where other levels have performed poorly or flat out failed under those conditions, the Accuracy 1st scope level excelled. An Idaho buck taken in the last few minutes of legal shooting light. While a hunter will most likely never be in a situation where he has to cant the rifle to shoot, the military snipers this level was designed for might not be able to avoid it. To that end, Accuracy 1st provided lines on the vial to indicate 2 ½ degree graduations in cant angle. With the proper formula, a shooter could take a long range shot with the rifle canted, while applying a precise cosine for the cant angle. I could see the utility in knowing some basic offsets for a precision rifle match, in case a stage comes up where a canted rifle is unavoidable. 2.5 degree marks for long range shooting with a canted rifle. During the course of this review, I found the Accuracy 1st scope level very easy to use. With my cheek welded to the stock and my dominant eye on the target, I could effortlessly pick up the ceramic ball with my non-dominant eye. I mounted it both fore and aft of the turrets, with no problems viewing the turret markings in either position. The level took a couple of hard knocks on barricades without breaking or changing position. The quality of construction is obvious, and the fit and finish is pleasing to the eye. With a retail base price of $84.95, the Accuracy 1st scope level is comparable to other levels in its class. Additionally, Accuracy 1st Development Group offers a discount for active-duty military service members. To order the Accuracy 1st scope level, or for more information on long range shooting products, click HERE.